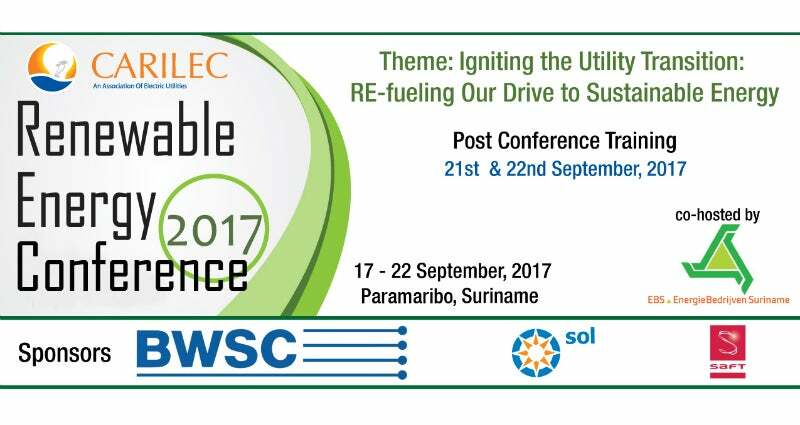 BWSC is sponsoring and participating in the CARILEC Renewable Energy Forum 2017, due to take place in Paramaribo, Suriname, on 17-22 September. This year the conference will be held under the theme "Igniting the Utility Transition: RE-fuelling our Drive to Sustainable Energy". CARILEC (Caribbean Electric Utility Services Corporation) is an association of electric services, dealers, manufactures and other stakeholders operating in the electricity industry in the Caribbean region, Central and South America, and globally. The association plays a leading role in electric utility advocacy, growth and sustainability in the region. BWSC has delivered efficient power generation and quality services to the Caribbean utilities for more than three decades. It also has a strong presence in the region and, with its track record in renewable energy, it will be supporting and sponsoring this event with the overall aim to offer waste-to-energy power plants. For more information, please visit CARILEC Renewable Energy Conference.